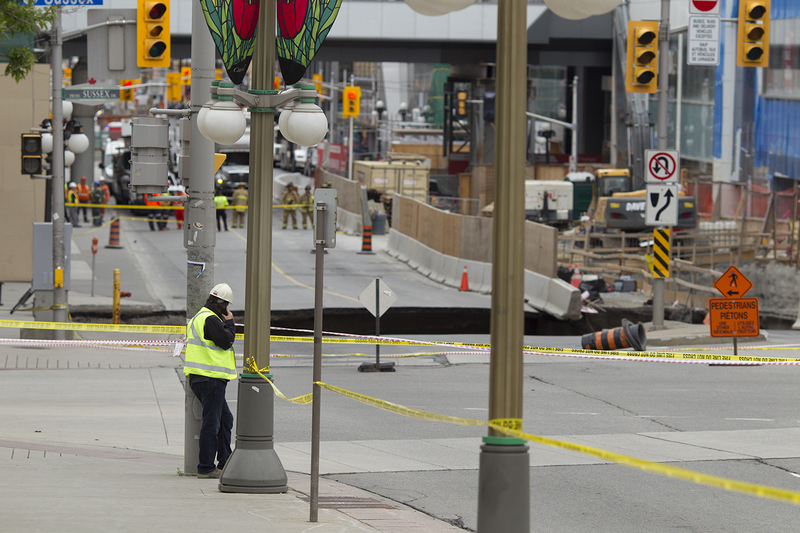 A sinkhole formed on Rideau Street near Sussex Drive around 10:30 a.m. and quickly filled with water, expanding due to a broken water main. Water has now been shut off to the area. 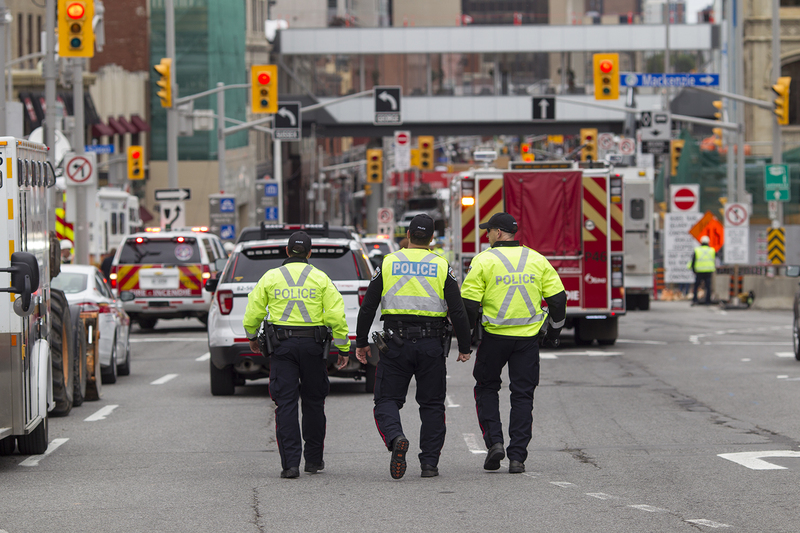 The Rideau Centre, Westin Hotel and other surrounding businesses were evacuated. The sinkhole swallowed a vehicle as it expanded. A strong scent of gas was smelled in the area right after the road caved in, prompting concerns of a gas leak caused by the sinkhole. A news conference was held at City Hall around 1:30 p.m.